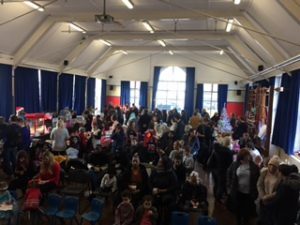 The Love Norbury Christmas Fayre was held on Sunday 26th November. 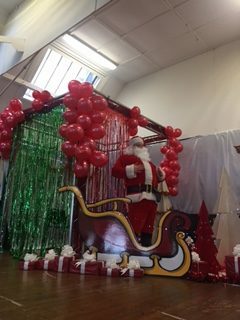 Santa was very busy again this year, there were fabulous performances from the Norbury Manor Primary School choir and also Betty Wivell Academy and lots of stalls selling food, crafts and Christmas gifts. As always there was a raffle and special thanks must go to both the Co-op, who donated a giant Christmas hamper, and the Moon Under Water (Wetherspoons) who donated a meal and a drink for two voucher. There were a few raffle prize winners who were not present at the time of the draw. The Love Norbury team have been making contact with those winners and are arranging to get their prizes to them. Love Norbury would like to say a big thank you to all the volunteers who helped organise the event, those who helped out on the day and to everyone who came along to support what has now become an annual event.